Raising Support: Just A Necessary Evil? Is raising your support just a means to an end or a necessary evil? Have you considered the implications of support raising from a big picture / macro standpoint? Let’s talk about it for a minute. The difference between a missionary who raises their funds verses a missionary who is paid is simply that – one raises their financial support and the other is paid to minister. Right? Right. Typically missionaries who raise their financial support are the norm. However, there are a denominations / sending agencies such that pay their missionaries. Though being a paid missionary sounds awesome, as we found out late summer of 2015, this method of funding can have it’s own set of challenges and downfalls. If you think about it from a macro viewpoint, a sending agency / denomination that pays its missionaries / workers by design is limiting the amount of missionaries it can send out to the nations. I don’t know this as hard fact, but I can surmise that there simply isn’t enough money divided up amongst all of the sending agencies in the world to pay enough missionaries to finish the task of the great commission. Hence God’s good idea — calling us all to be a part of the Great Commission. Yes, all of us. This is where the brilliance of God and raising support comes in. Throughout the Bible (the Levites, Elijah, Nehemiah, Jesus, Paul, the Apostles) you find examples of ministers being supported to do the work of ministry the Lord has given them. It doesn’t just start with modern missions, raising finances has been God’s design all along. I venture to say it is His idea not only because it works, but because we are all called to take part – either as goers or senders – as I mentioned above. Mark 16:15-16. Let’s talk about some major pros and cons from a macro (big picture) and micro (smaller picture – your perspective) standpoint of a missionary who lives off of support versus one that is paid. Micro: Doesn’t have to spend time raising support instead of going straight into assignment. **I believe this can also be a detriment in some cases, see below! Macro: Fewer missionaries on the mission field, thus less people hearing about Jesus! Micro: No team of committed individuals and churches lifting the missionary up in prayer on a continued basis. A common misconception and attitude amongst workers who raise their support, is that support raising is just a necessary evil and means to an end. I would challenge that thinking by saying let’s get past ourselves and see it for what God intended it to be! In the macro sense, raising support is about so much more than one person’s budget, essentially it is about the body of Christ partnering with the Great Commission. And in the micro sense, the fact of the matter is, when done correctly and with the correct biblical perspective, support raising is actually ministry. Raising support can be a exciting, rewarding, and truly vital ministry. As I mentioned above, the one major upside to a missionary being paid for their service is they get to the field quicker and “waste” less time before they go into their assignment. However, I can’t tell you the amount of times I have heard missionaries that raise their support say that their season of itinerating (particularly at the beginning of their journey in missions) is the absolute best preparation they could ever imagine for the field. “As a christian worker or missionary you are going to find many people interested in speaking to you about Jesus, but they may not always be ready to make a commitment. They may not be prepared to forsake Islam or their family’s religion of many generations because you told them a nice story. Successful ministry work requires faithful and patient follow-up with that person who has shown some interest. The man who pumps my gas gave his life to Jesus, but only after I spoke with him many times. He had to know more than my “story” about Jesus… he had to know ME. Was I a worthy person to carry such a story to him? Could I be trusted? Did I really believe the message I was sharing with him? In this season of itineration, I echo what Pastor Chris said- think of more than just the micro implications of raising your support – think of the bigger picture as well! Raising support means more missionaries spreading the gospel, more workers doing more good things, involving the body of Christ in the Great Commission, more prayer, more preparation, etc. It’s so much more about God’s plan than it is about raising your budget! When I train missionaries on how to raise their support I tend to stay away from the word “fundraising” for many reasons, and when I really think about it — this statistic is at the heart of all of my reasons. Basically, No one wants to invest in something that yields no return. If an individual gives a worker monthly support and feels as though the worker could care less about their giving, they will likely go somewhere else with their giving dollars. And in my opinion, they should. Ouch! Why you ask? Because the reason donors are investing in the Great Commission is because they are called to be a vital part of the Great Commission too. And if they are called to be a part of the Great Commission, why should they be made to feel as though their “vital part” is on the sidelines and forgotten? I believe that one reason we forget to invest in the relationships we have with our financial partners is because we forget (or perhaps don’t have the paradigm) that they are as vital to the work that we are doing as we (as ministers) are. That being said, many christian workers on financial support struggle in the area of continually connecting with their financial partners even they have a high value for their relationships with them. It makes sense. We are all busy. Ministers are typically very busy. I totally get it. As much as I understand, I also believe it isn’t a valid excuse. There are so many easy ways to connect across continents in our world. As such, I would like to offer up 10 suggestions on how workers on financial support can continually, quickly, and easily connect with churches and individuals who financially invest in the kingdom work they are doing. Here’s a no-brainer: Send your newsletters. You should do a minimum of four a year. Keep them short and talk way more about ministry than personal things. Include pictures of active ministry (no vacation spots). See…how painful is that? It took me all of two minutes to write that… You may be saying, but what happens when they write back? If they do, take another minute of your day to promptly reply to those who responded to your email. If all 10 respond it will take you around 15-20 minutes to respond to everyone. Then, take the time to mention them in your prayers and follow up with that as you have time and God leads. Keep a simple notebook. Write them down. It will make all of the difference and mean so much to the people spending so much time praying for you. Once you have gone through your 10-15 partners each month, circle back around your list. Put these on some sort of white board in your room or house to remind you, or put it into a calendar each month. Whatever you do, calendarize it in some way. Send small gifts or postcards to your financial partners. Tell them thank you for their continuing support. 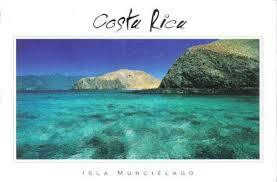 I recently received a postcard from a friend vacationing in Costa Rica. That postcard remained on my fridge for 2 months for two reasons: (1) My friend thought of me from a far off destination and it made my day getting that postcard! (2) It was beautiful! Personally, I’m a sucker for a pretty print of any far off destination. Small gifts do not have to cost much to mean a lot. If you don’t already have one, create a Facebook page. Create a secret group if you are going to a sensitive country. Stay active on it while you are on the field. Pictures, prayer updates, short videos, scripture verses, and praise reports are all fantastic. *If you are somewhere sensitive keep that in mind while posting and follow the rules of your organization. Consider getting onto Instagram and Twitter as well! This is not for everyone, and typically I say to start with one social media outlet (probably Facebook) and do it well. However if you have the time and know-how try one or both of these. I love posting on Twitter and have a personal Instagram page as a creative outlet. Both have been effective in communicating with friends and helping me to network on a larger scale. Another great thing to think about doing in your secret Facebook groups or if you have a ministry page is a Facebook Live. If you choose t o do one before hand promote the time your event will be taking place, and take care to choose a time that works well for your financial partners. When you do a Facebook Live event, make it a guided Q&A and consider doing your Facebook Live in an interesting place. That Facebook Live will record as a video so anyone not able to make the time can view later! Facebook message your financial partners or like their posts. Stay active on your personal page (including Twitter or other social media outlets). Sometimes as I listen to audio sermons, worship sets, podcasts, or scriptures, I’ll check in with God and ask if He would like me to share any of those with my friends, family, or financial partners. If I feel prompted, I’ll send that sermon or verse to a friend on Facebook with a little message. These have to make sense and the sermons probably shouldn’t be overly convicting on major sins or anything. (Don’t imply that your friend has a problem). Use common sense. ie. Don’t send a message on tithing to a partner who hasn’t recently been giving. Write a short letter to the churches that financially partner with you. Put a note in to the pastor to please read where he feels it appropriate to the congregation (small groups, prayer groups, Sunday school). If you don’t have time for a letter, create a quick video on your smart phone or computer and email it to the pastor. Ask the pastor to share that with his congregation or prayer group if possible. When you come back home, hold an event in key areas where your financial partners are. During the event provide desserts and coffee. Share stories from the field, answer any questions, tell them about your future plans, and thank them, thank them, and thank them. These events can be as elaborate or simple as you want to make them. I would of course error on the side of taking care of your important guests by providing refreshments and some sort of dessert or snack – these also provide an incentive for your guests to come. Create connect cards for those interested in giving for the first time. In addition to the church event, when you come home set up one-on-one coffee times with pastors and friends and family that have supported you. Thank them and catch up on their lives while you were gone. Be relational and intentional. Really, this shouldn’t be optional! Are you spending some time on FaceTime or Skype with your far away family and friends? Why not pick 6-12 financial partners per year to Skype or FaceTime while on the field? This is particularly good practice with financial partners that are giving sizable amounts or with churches and small groups that are partnering financially. Give them a real-time live update on where and how you are. Take them into an actual ministry event via Skype or FaceTime on your phone if you can. They will be floored at your thoughtfulness and most likely continue to financially partner you throughout assignments to come. There are multiple programs available that will allow you to set up video and picture messaging while on the field. If you have a urgent prayer request, why not send a group text message out to your financial and prayer partners with a picture detailing your prayer need? If you have a praise report, send a text and allow them to celebrate with you (of course, keep in mind time zone differences so that you are not texting them at 2:00am)! If you are a worker on financial support, I hope that these simple ideas to connect with your partnership base help you. Let’s remind our financial partners that they are important to us and to the Great Commission! Let’s keep our attrition rates up with our financial partners by spending just a little time letting them know that we care. Let’s value them! Let’s realize that they are vital part of what we do. Amen? Amen. This is a refreshed post contacting pastors for church support. However scary it can be, pastors / local church congregations are a great source of financial and prayer support. Thus I’ve put together a short list of tips to help calm those jitters and give some good starting places for those of you who share the same cold sweats and umm’s as I once did. I hope these help! 1.Start your journey by speaking with your home church pastor. Connecting with your home church pastor is one of the first things you should do when you begin raising up your support team. Start by setting up a meeting with your home church pastor. When you meet explain your ministry and share the specifics of your financial need. 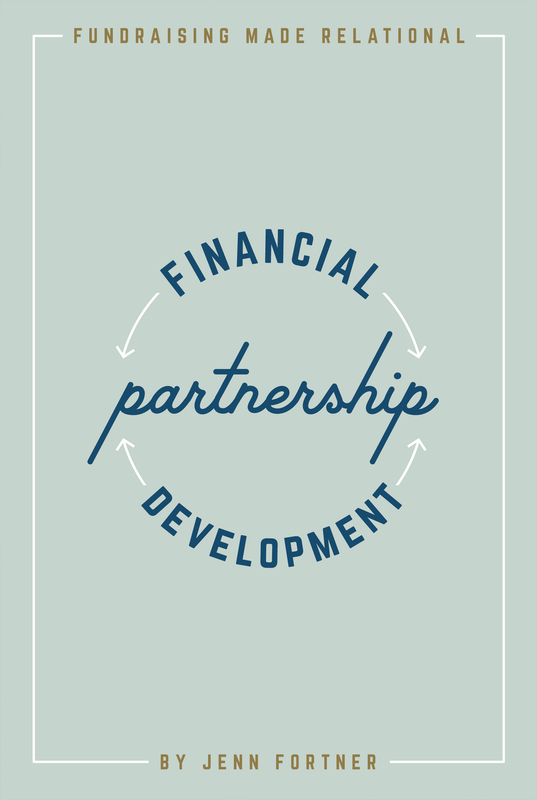 Ask if there is any protocol or advice your pastor has as it relates to financial partnership development. If you would like to get a monthly commitment from your home church, now is the time to ask. If you would like to get members from your church on your financial partnership team, ask your pastor for permission to invite them into partnership. He/She will appreciate you filling them in on your plans, and probably will be able to give you helpful tips and hints. The more communication you have with your home church pastor, the better. 2. Remember each church and pastor is different so accommodate accordingly. Whatever you think is the best way to contact, make it creative and memorable. Seek creative ways for pastors to remember you and the ministry you represent. When you do speak at a service or visit a church your goal is to make a dynamic and lasting impression on the pastor and the congregation. Whenever possible present with a another medium besides your words – use video, testimony, display tables, etc. 3. Communicate clearly. Have a phone script handy if it helps. Would they like you to share at a service? How long would he/she like you to speak? What is the dress protocol? How does their missions giving work? Is there any protocol that exists? Would the church be interested in giving a monthly commitment? Are there any opportunities for you to engage with the congregation / serve the congregation outside of regular church service? If the church does commit monthly, what would the best way to update the congregation be as you are in your field of service? Paper newsletter? Emailed newsletter? Video update? If you think you’ll miss an important question on the phone due to nervousness or just because it is hard to remember everything – create a simple phone script to use when calling. Include some or all of the above questions and write out what you want to say. Use that phone script at least until you become comfortable talking to pastors on the phone. 4. Consider reaching some pastors via Facebook if you have a preexisting relationship with them. Some recent statistics I have seen within my organization have shown that pastors are checking their Facebook messages faster than they are their office phones. Be careful which pastors you ask over Facebook as Facebook often is a pastor’s personal space. For those pastors you already have relationship with, I wouldn’t hesitate to reach out via Facebook if you are having a hard time reaching them on the phone. 6. Don’t give up and don’t get discouraged! Don’t give up in calling or seeking out pastors. It’s true, they are busy people and can sometimes be hard to get ahold of. Give them the benefit of the doubt though, generally their busyness is for a good reason. Be kind and gracious with pastors and never start to feel a sense of entitlement for their congregation’s commitment or for the pastor to even call you back. Always put the ball in your court when it comes to contacting a pastor, and always be kind. Typically it may take upwards of 10-15 phone calls before you are able to reach a pastor. That’s okay, just stick with it and don’t give up. Treat your time with churches and pastors as ministry, not as merely support raising. Seek ways to bring messages of hope, healing, and blessing to the church today. Ask the Holy Spirit for a special word for the pastor and congregation. Be ready to pray for anyone the Lord brings your way. Be the first to arrive and the last to leave. Remember in all of this: you are following God in your calling in a radical and dedicated way, and you are also ALREADY a minister in the body of Christ. Just by EXISTING you are inspiring and provoking (in a good way!). In this season you have the opportunity to inspire others in the body of Christ to follow the path God has called them to, whatever that looks like for them. Use the platform / coolness God has given you to inspire! And don’t forget to communicate your needs clearly and in an honoring way to the pastor and the body of Christ. Have fun out there, it’s a great experience to challenge and call the body of Christ to join in the Great Commission! Below are some common mistakes I see ministry workers make while raising their funds. If some of these mistakes look too familiar to you, don’t fret! My hope is that by mentioning them you are able to move forward and are helped, not discouraged. 1. Follow Up Fails: Not setting expectations for follow up during a face to face appointment. This is probably the most common of all mistakes I see as a coach. Though it’s best to have a new financial partner sign up for giving during a appointment, many financial partners need time after an appointment to sign up. The problem with a delayed giving start is that it puts the ball in the court of the financial partner, not yours. Often times, your new financial partner will absolutely plan on giving but drag his or her feet in turning in the commitment. Reasons as to why range as wide as there are different personalities of people. However when they intend to give (I call these “verbal commitments”), you as a ministry worker must have a plan for getting verbal commitments turned in! The first place that plan should begin is during the appointment, by setting expectations of exactly when and how you will follow up anyone who has said that they would like to give but doesn’t give during the appointment. Read more on how to turn verbal commitments into written ones here. 2. Relying On The Newsletter: Not going beyond the newsletter in communication, especially once on assignment. If you use the words “team” to describe the people who give regularly to your ministry – treat your team as an actual team! Involve them in your ministry by reaching beyond the newsletter in your communication to them with personal texts, small gifts, personal emails and/or social media messages, etc. Your team should not only be hearing from you on a macro level, put on a personal one as well. 3. The Drawn Out Newsletter: Making newsletters too lengthy. Newsletters do not need to be long to be helpful or informative. Quite the opposite is true. Think about it from your own personal experience as a giver…do you read 2,3,4 page newsletters? My guess is probably not, unless you are skim reading or interested beyond your average financial partner. Thus, create newsletters that are effective yet short. Include essential ministry information, bullet points of prayer requests, a few pictures from the field (or if your raising your support and sending out a newsletter – include an infographic of what percentage you are at in raising your budget), and a heartfelt thank you. Make your newsletter it interesting, pleasing to the eye, and brief. Then, take to heart the above common mistake #2 and spend some time connecting with your team personally. 4. Shirking Responsibility: Not putting the ball in their court when leaving voicemails. 5. The Too Soon Newsletter Announcement: As soon as the worker is approved, they send out a massive newsletter to everyone they know asking for finances and announce on social media that they need support. When you know the direction God has placed on your life and have taken the next step in acting upon it, you get excited right? I think most of the time the excitement is where this particular common mistake comes from, and it’s understandable. However, the best way to make an ask for financial support is always going to done relationally, and the best way to do that is to meet with someone in person to ask. For the most part, newsletters should be reserved for people who have already joined some aspect of your team or have said they would like to receive your newsletter. Newsletters are not for the general masses. Social media announcements should be limited to information and for the most part, not asks for financial support (unless doing a strategic one time Facebook Campaign). 6. Social Media Is EVERYTHING: Over utilizing / emphasizing social media. There are social media directors for businesses these days, conferences on social media, and how to’s on fundraising concerning social media. Good! Let’s learn all about it. Personally, I love social media and think it is an extremely helpful resource. HOWEVER…I do believe it is often over emphasized. Some workers raising support decide to make it the end-all- be-all of support raising, and I believe that can be a mistake. No matter how helpful creating a excellent social media presence can be, it will never take the place of meeting with someone in personally and relationally. A post is not a personal postcard. A “like” is not a text saying hello. A instant message is not a coffee date. Thus, I say work to create a strong social media presence and stick with it when you get into your assignment. However, as I mentioned above save asks (with some few circumstances – check out here and here) for personal appointments. 7. Nervous Asking: Beating around the bush during an ask and/or making qualifiers after asking. After asking for a monthly support amount, the next person who talks should be the potential partner. NOT YOU. It’s tempting to create qualifiers to save awkwardness but typically they do not help, only hinder, your ask. Make your asks clear, bold, and to the point. Don’t beat around the bush and leave the potential partner wondering what you really want. Confidence will come across not as pushy, but respectful. Often times tentative and timid words will come across as you being uncertain of your calling, less passionate, and less confident. Choose boldness and clarity over timidity. 8. Billboard Texts: Asking for an appointment on text or social media instead of calling. It can be tempting to skip the phone call and choose instead to ask someone for an appointment on text or on Facebook Messenger. I get it, texting is a bit more normative than calling someone on the phone these days. However, text doesn’t take the place of being able to explain something in detail verbally. Thus, consider sending a quick text to someone before calling that reads something along the lines of “Hey, Don. Wondering if I could give you a quick call to discuss something. Don’t want to take but a few minutes of your time.” or “Hey Don, can I give you a call real quick?“. When you give too many details on a text or Facebook Message typically any explanation of the need for support reads like a billboard. Text with an ask for financial support or an appointment can also get buried because the person is dealing with their own day and life and busyness. Stick to calling people first, then move to another mode of communication if you absolutely have to after multiple attempts at the phone call. 9. Accidentally Asking On Social Media: Not getting contact information properly or giving too much information when asking for contact information. Sometimes ministry workers I coach begin sending out invitation letters to their potential supporters before they have a phone number to reach the potential partner afterward. Invitation letters are to set up a phone call asking for a appointment. So without the number how is one supposed to call and ask for a appointment? Oops. Don’t send an invitation letter until you have all of your potential partner’s contact information. Though the language is good enough, this is way TOO MUCH INFORMATION to give up front when simply asking for contact info. When asking for contact information don’t pull the wool over their eyes but don’t ask for support either – save that for the relational face to face appointment. I hope seeing these common mistakes will help you not make the same mistakes yourself. Did you make one of these mistakes? Perhaps you made another type of mistake? Post it in the comments and help others learn from you!